This was a game meant to determine whether the Seahawks could challenge for the division title or just hope to earn a playoff spot. It wound up being much more than that. 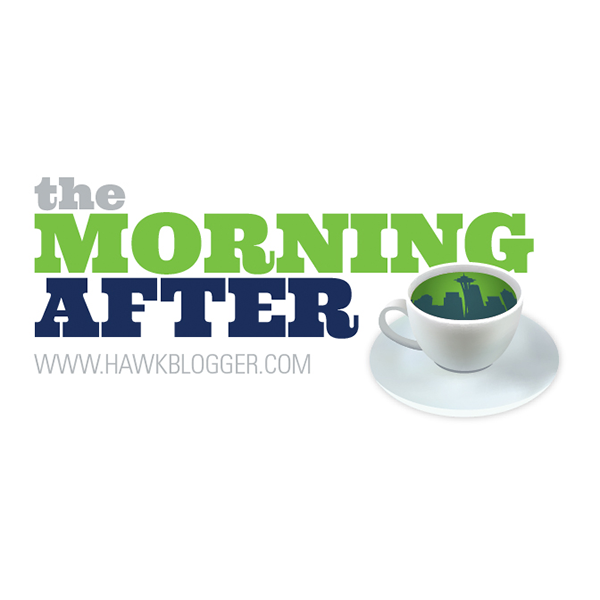 The loss of the game narrowed the Seahawks playoff possibilities. The loss of Max Unger makes the last six games a zombie movie. Seattle already entered the game missing limbs. Losing Unger robbed them of their jaw. The two parts of their game that could truly be called dominant this year, run offense and run defense, lost their foundation in one week. This team will continue to fight, but they lack the strength and bite necessary to accomplish anything more than playing a spoiler. It was clear the Seahawks players and coaches entered this game with the right frame of mind. The Chiefs opened with a clinical first touchdown drive that could have easily been the start of a blowout. Instead, the Seahawks drove the ball 90 yards for a touchdown. The drive started with a statement-making eight straight running plays for 46 yards, and ended with a clutch touchdown throw on third down to Doug Baldwin. Game on. And what a great game it was. Seahawks fans will have a hard time separating the result from the battle, but this was a terrific football game that included two teams playing at a high level. The Chiefs were never required to ask much of Alex Smith, who passed for just 108 yards (the fifth-lowest total in the NFL this year), because they were gouging the Seahawks defense on the ground. Andy Reid called a wonderful game. They created creases with wide runs and utilized De’Anthony Thomas just enough to create space up the middle. Yes the Seahawks missed Brandon Mebane, but the Chiefs were going to run for a lot of yards on this day with, or without, Mebane. A game like this always comes down to situational football or turnovers. Seattle won the turnover battle. The Chiefs won the situational battle by holding the Seahawks to 2-5 in the red zone and 0-3 on fourth downs. It was a game that defied the odds. 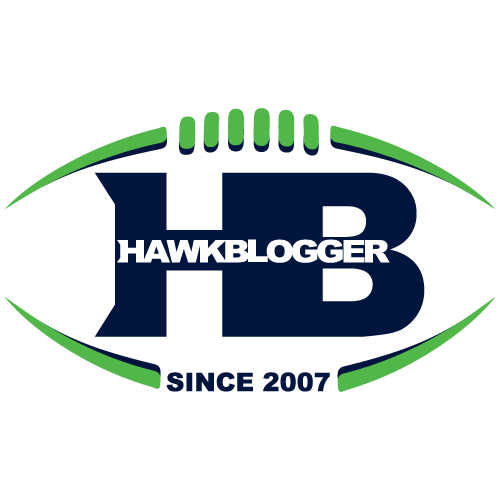 The Seahawks had more total yards, rushing yards, passing yards, a higher 3rd down conversion rate, more time of possession, and won the turnover battle. This was the first time in the Pete Carroll era that the team won the turnover battle and the yardage battle and lost the game. They had been 22-0. This was the first time in the Pete Carroll era that the team won the turnover battle and the yardage battle and lost the game. They had been 22-0. This was only the second time in that span that the Seahawks lost a game when they had a +2 or greater turnover margin. They are now 16-2 in those games. I talked a few weeks back about the Seahawks being in the bottom third of the league in red zone offense and red zone defense, and how just one touchdown more on offense or one less on defense could cause a dramatic shift in the team’s fortunes. No game highlighted that more than this one. Had the Seahawks defense held the Chiefs to even a 50% red zone rate, and if the offense could have turned one more of those red zone chances into a touchdown, the score would have been 24-20 Seattle instead of the other way around. Kansas City won those battles, and the game as a result. The turnover right before half was the key moment in the game. You could feel it. Despite a dominant first half of offense from the Chiefs, the Seahawks could go into halftime with a lead if they scored a touchdown. They marched inside the ten, but could not convert. Russell Wilson put the ball in a perfect spot for Jermaine Kearse to catch the go-ahead touchdown, but it bounced off his hands and chest. It was a shame for the team and for Kearse, who had an otherwise strong game. Darrell Bevell had a nice call to get Tony Moeaki his first Seahawks touchdown, but he appeared to have few other answers in the red zone. The decision to throw a fade to Baldwin from the two-yard line on fourth down was questionable. He was wide open, and was clearly pushed for what could have been a pass interference, but the throw was way off target. None of that was really the point. This was a Seahawks offense that had over 200 yards rushing and had their season on the line. When you go to sleep at night, do you want know that you won or lost with your best player fighting for two yards or trying to be clever with a pass play? The Chiefs stopped the Seahawks on a number of key short yardage situations. Unger had just gone out with an injury. There is no guarantee the Seahawks would have scored the touchdown had they run it there, but they would have won or lost playing Seahawks football. I could live with that. Unger is not a guy who can be replaced. Seattle has now lost three centers in one season, and have only one on the roster. That player, Patrick Lewis, was signed off a practice squad a few weeks ago. Lewis has played okay in his limited chances, but the chasm between Unger and Lewis can be seen from space. Expect the Seahawks to sign former Unger backup Lemuel Jeanpierre this week if he is healthy. Jeanpierre is still not the player that Unger is, but has filled in capably before and knows the system well. An NFC West team would be wise to sign Jeanpierre before Seattle does or offer more money if they want to make sure the Seahawks stay on the mat. Marshawn Lynch was also hurt enough to be getting treatment throughout the game. It would not be shocking to see him miss some time, especially if he has an eye on free agency next year, should the team let him go. No matter who steps on the field the rest of the way, they will be part of something different than what Seahawks fans have witnessed the past few years. Carroll always preaches that it is not how you start, but how you finish that matters. This Seahawks team has not finished well this year, and is unlikely to finish well this season. It felt like the season ended two years ago with a loss in Miami that left the Seahawks 6-5, before the team went on to win five in a row and sprint into the playoffs. This feels much different. That team was mostly healthy but underachieving. This team is decimated with injuries to key players at foundational positions and has never felt like they were fitting together well. Convincing people not to hope is an evil act. When you have players like Wilson, Baldwin, Lynch, Kam Chancellor, Earl Thomas, Richard Sherman and hopefully Bobby Wagner, there is always hope. The path to success, though, is obscured from my eyes.